Over the last two weeks I have been focusing on improving the lighting implementation for the deferred shading render manager. 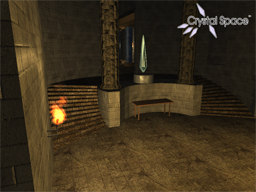 That includes adding support for normal mapping, parallax mapping, and full Blinn-Phong shading. 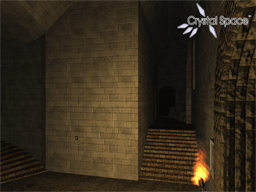 Below is a side-by-side comparison of the unshadowed and the deferred render managers. 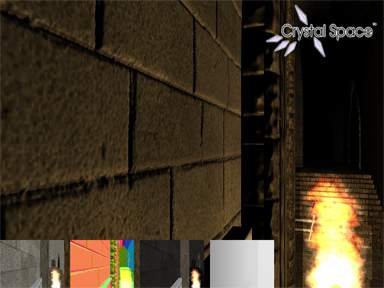 I have also included a close up view that better highlights the use of parallax and normal mapping. The parallax effect is particularly noticeable along the edges of the bricks where they appear to ‘pop’ out of the wall. 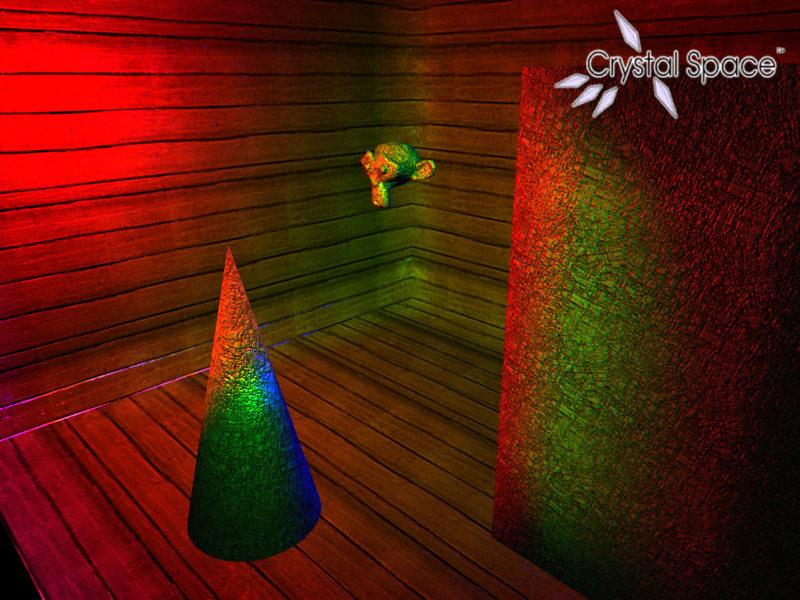 The application of normal mapping can be seen in the subtle changes to lighting across the surface. For instance, the spaces between bricks appear noticeably darker then the flat surface of the bricks. Close up view of parallax mapping. 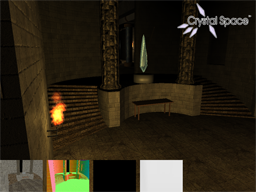 One point of interest in the screenshots from the deferred render manager is the row of four images along the bottom of the screenshot. 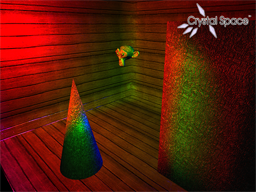 These images are visual representations of the GBuffer used by the deferred shading method. From left to right we have the diffuse color, view-space normals, specular color, and post-projection depth information. This is all of the information needed to compute lighting information for an arbitrary number of light sources. 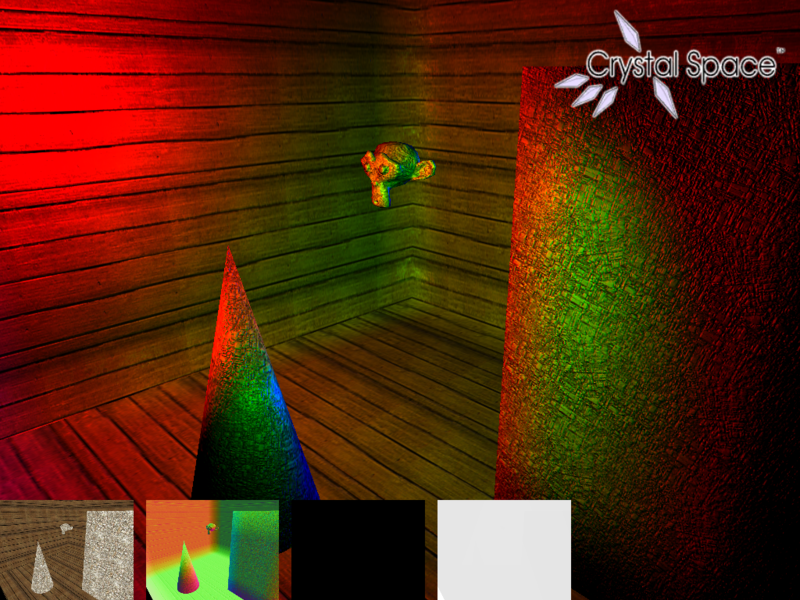 As of this writing, the deferred render manager only supports point light sources. However, full support for spot lights and directional lights is fast approaching. Once that happens I will begin work on adding support for ambient lighting (implemented as a special type of light source), semi-transparent objects, and portals. 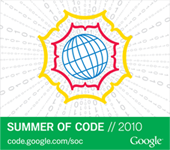 In early May I began work on a Google Summer of Code 2010 project for the open source 3D engine Crystal Space. The goal of the project (outlined more formally here) is to bring deferred shading to the Crystal Space engine. Deferred shading is a rasterization based rendering method that separates the rendering of geometry from the process of lighting that geometry. In the traditional approach to rasterization (commonly referred to as forward shading) the rendering and lighting of geometry are done in tandem. As a result, using forward shading tends to limit the number of light sources that can affect a single object. However, with deferred shading the cost of adding a light to a scene is independent of the number of objects in that scene. This allows for a significant increase in the number of lights that can be on-screen. To facilitate the use deferred shading with Crystal Space I have created the deferred shading render manager (rm_deferred for short). 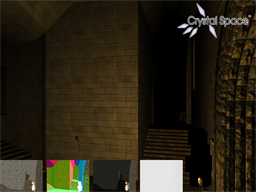 Since the usage of rm_deferred is identical to all other render managers, one can easily switch to using deferred shading in any Crystal Space application by supplying the engine with an instance of the deferred render manager (or specifying it as a configuration option). 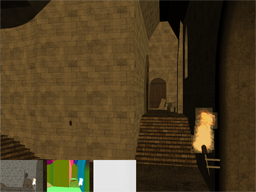 Bellow is a side-by-side comparison of the deferred and the unshadowed render managers being used in the deferred shading demo application. At the early stage in development the deferred render manager only supports point lights with diffuse Phong shading. 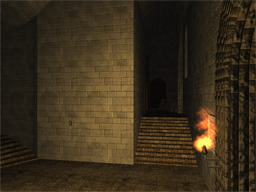 I am currently working on adding support for spot lights, directional, light attenuation, and specular highlights. In July of this year I joined the INSURGENCY: Modern Infantry Combat mod team and have been working on the latest update to the game. I am happy to announce that after many month of work the update has been released through Steam. This is a significant updated that adds new features and fixes a number of issues (outlined here). Insurgency can be download through its Steam page (its free if you already have a Source Engine game). Also checkout the new Insurgency project page for more information and screen shots.